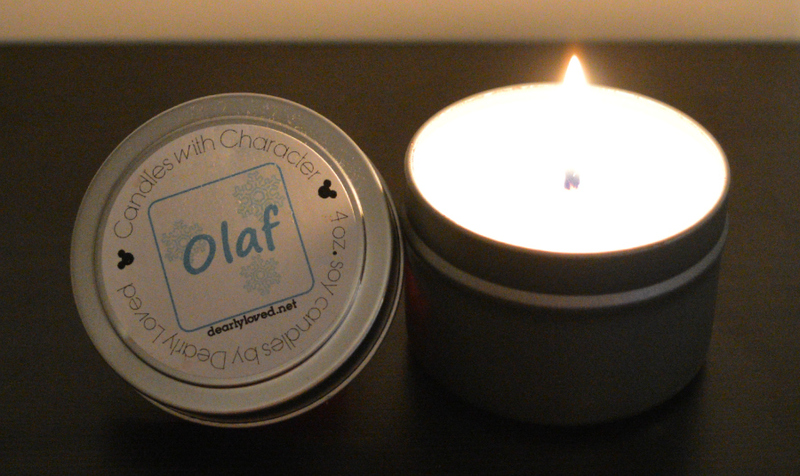 When I first lit my Olaf candle all I could think of was this…. Awh who doesn’t love Frozen?! It’s too cute. This scrumptious wintery candle smells like Christmas Bark, it combines the scents of dark chocolate and cool peppermint with a hint of sweet creamy vanilla. YUMMY! I like minty scented candles but generally I would only burn them in the winter time, not too sure why. I love chocolate and vanilla scents, so I was very excited about this candle. I found this scent to be cool, crisp and creamy. I think it would be a great and unique odour eliminating fragrance which would be ideal for Christmas time especially if you have guests around. All Candles With Character are made with soy wax and hand poured into a lidded tin and crafted with quality products. I’ve found with every candle I’ve had from My Dearly Loved that they burn so well, so clean and so evenly. I always keep my wicks trimmed so that I can get the most out of them. If you haven’t tried any Candles With Character, you’re seriously missing out. Check out My Dearly Loved on Etsy for fabulous candles, wax melts and Disney related goodies. Love!!! Remember, some candles are worth melting for.